"There are two giant entities at work in our country, and they both have an amazing influence on our daily lives...one has given us radar, sonar, stereo, teletype, the transistor, hearing aids, artificial larynxes, talking movies, and the telephone. The other has given us the Civil War, the Spanish American War, the First World War, the Second World War, the Korean War, the Vietnam War, double-digit inflation, double digit unemployment, the Great Depression, the gasoline crisis, and the Watergate fiasco. Guess which one is now trying to tell the other one how to run its business?" - This quote from Arthur P. Bloom when he was recalling a poster that was hung at various telephone co worksites, towards the end of 1983, as they (employees) all tried to prepare themselves for the "solution" (the pending divestiture of the Bell System). Article titled "The Bell System"
The Bell System, a.k.a. “Ma Bell” or simply “THE telephone company”, was not a "company" but rather an aggregate term for AT&T encompassing 24 Bell operating companies providing local exchange phone service, the AT&T Long Lines Division providing long distance connections, an equipment manufacturing arm known as Western Electric, and a research and development arm known as Bell Laboratories. The American Telephone and Telegraph company (known today as simply AT&T), Western Electric (which became Lucent), Bell Labs, and the 22 local Bell operating companies (which became the so-called "Baby Bells”) made up a huge and complex corporate system providing telecommunications equipment and service to the majority of the people living in the US prior to divestiture. for years. - Photo courtesy of Ron Christianson of "Cyber Telephone Museum" website. The nation-wide Bell System network, which was described as the largest computer in the world, was the result of teamwork by people at AT&T, Bell Telephone Laboratories, Western Electric, and the local Bell Telephone companies. Close cooperation between Western Electric and Bell Laboratories engineers resulted in the introduction of countless communications products and services. Similarly, the close relationships between Western Electric and each of the operating companies embodied a spirit of united service to the public. The Bell System was the largest employer in the USA with great job security for its employees – especially when compared with today’s corporate climate of downsizing, mergers and outsourcing. Company loyalty on the part of employees was the norm back then. If you wanted a secure job and one that you felt you could put your blood, sweat and tears into, the Bell System was the place to be. The Bell System was heavily involved with civil defense preparedness during the cold war days. Not only did they provide emergency communications backup systems and electronic defense equipment, they provided radiation monitoring and fallout shelter information. The Bell System, known for providing high quality equipment and top-notch service to the customer, came to an end in 1984. With a few exceptions (like BellSouth), most of today’s Baby Bells have not kept the “Spirit of Service” as part of their company’s culture. The excellent quality of telephone equipment that Western Electric was known for is no longer an attribute of today's phones made by Lucent (the new name for Western Electric), now AVAYA. And all (except Bell Canada and Cincinnati Bell) have dropped the “Bell” from their corporate identities! In spite of all of the great things the Bell System was known for, the public opinion toward the Bell System was sometimes very negative as noted by these two artifacts from the past: The button shown below on the left with the cracked bell is from the CWA during negotiations with the Bell System in the 1970's. The item on the right appears to be a refrigerator magnet probably from the same era. HERE is a photo of an "On Strike" poster, possible from that era. The Phone Phreakers of the sixties and seventies found it challenging to uncloak the technical secrecy of the Bell System's technical operations and equipment. Others didn't like the idea of the US government support of a corporate monopoly. I'm sure if you are old enough to remember having phone service with the Bell System prior to 1984, you'll remember a few policies they had that seem comical if not ridiculous today. One was the "foreign attachments" policy that prohibited a customer from attaching anything to his/her telephone set or telephone line. This was taken to the extreme with such "violations" as no shoulder rest could be attached to the handset and no book cover or other protective cover could be used to cover your phone book! These were considered "foreign attachments". A peculiar policy of the New York Telephone was sent to me by Stan Schreier and can be viewed by clicking HERE. The Bell System came to an end in the early 1980's; officially on January 1, 1984 although the announcement of the breakup came two years earlier. To hear a 2 minute 12 second sound bite of the introductory part of the official announcement of the divestiture as heard by the Bell System employees from AT&T management in 1982, click HERE. Thanks Diane for sending this cartoon to me! Use the menu at the left to navigate through this web site. It's a journey back in time . . . a time when Ma Bell was THE phone company for most Americans. Directory information was free, the "telephone man" made house calls to fix you phone or wiring for free, and phones were built to last and had real bells (not those wimpy electronic chirpy thingies like today's cheap phones). As the lyrics of a 1968 folk/pop music song sung by Mary Hopkin stated, "Those were the days my friend, we thought they'd never end . . ."
As a side note, some recent claims have been made that A.G. Bell was not the first to invent the telephone as noted in this article. "'If ever there was a year when effective decision making was needed--and fast--1907 was it; the AT&T ship was perilously poised between the Scylla of the independent phone companies and the antitrust movement on the one hand and the Charybdis of socialization and government takeover on the other.'" The year was 1907, and the American Telephone and Telegraph Company was having its troubles, with the public, dissatisfied with the kind of service it was getting; with the financial community, where AT&T bonds were no longer finding a ready market; with the independents, whose telephones now outnumbered those of the Bell System; and with its own employees, whose morale had sunk to a low ebb. The small group of investment bankers who had gained financial control of the company no longer could ignore the deteriorating state of affairs. And so it was that they went hat in hand to the man they had spurned 20 years before 62-year-old Theodore Newton Vail to beg him to take over the company from which he had sadly resigned in 1887. At an age when most men are thinking about retirement, Vail was persuaded to come back to the company he loved to breathe new life into it: to reorganize and redirect it along the very lines that he had laid down when he was its top manager two decades before. "The least known of the great American business builders," is the way Peter Drucker has described Theodore Vail, whom he rates as "perhaps the most effective decision maker in U.S. business history." If ever there was a year when effective decision making was needed and fast-1907 was it: the AT&T ship was perilously poised between the Scylla of the independent phone companies and the antitrust movement on the one hand and the Charybdis of socialization and government takeover on the other. It was a time of overexpansion and reckless speculation and an ominously sagging stock market. But even more ominous to America's top business leaders was the attitude of the public and some of its elected officials toward large business enterprises. In Washington, President Theodore Roosevelt's trustbusters were charging full steam ahead after the Standard Oil Company. In various state capitols, governors and legislators were deliberating over the creation of public service commissions. And on the city level, the hue and cry was for municipal ownership of the utilities. It was an era when bigness was a synonym for badness. Biggest and baddest of all, as far as the farmers were concerned, were the railroads. Years earlier, the farmers' wrath against the stranglehold of the railroads had hardened into action: back in the 1870's the Patrons of Husbandry-more popularly known as the Grange-had flexed its political muscle and secured passage of legislation to regulate railroad rates in the four so-called "Granger States" (Minnesota, Wisconsin, Iowa and Illinois) of the Midwest. Though much of this legislation proved ineffective or was declared unconstitutional, an important principle had been established: the right of the government to regulate public utilities. The Populist movement of the 1890's took over where the Grangers left off. "The people are at bay. Let the bloodhounds of money who have dogged us this far beware!" cried Mary Elizabeth Lease, the Populist "Kansas Cyclone," to her cheering admirers. One such member of the irresponsible lunatic fringe of muckraking journalists was a former newspaperman named Paul Latzke. In 1906 Latzke wrote a book "exposing" American Telephone and Telegraph; he called it A Fight with an Octopus. In those days an octopus was a frequent and titillating cartoon character on the editorial pages of the yellow press; it could be used equally well to conjure up the network of the pipelines of the giant oil trust or to suggest the ensnaring rail lines of the railroad barons. The independent phone companies were also fond of the octopus image; it provided a satisfying pejorative reference for the spreading wires of "The Bell" (as the company was then known to its multitudinous and proliferating competitors throughout the nation ). The independents were feeling decidedly feisty. Since the expiration of the basic Bell patents in 1894, these rival phone companies had sprung up like dandelions and multiplied like rabbits, installing instruments at a far faster rate than "The Bell .... It required nearly two decades (for Bell) to install less than a quarter of a million instruments," a spokesman of the independents proclaimed in January of 1907. "A competitive system built by the Independents has reached an installation in excess of three million in less than twelve years." The competition was fierce, some of it of benefit to the public-lower rates in many places and innovations such as the first "automatic" dial telephone system-and some of it not. Duplicate service-the necessity for subscribing to two telephone companies-was the most obvious drawback where dual systems existed. And where no system existed at all, the ground lay fertile for stockjobbing schemes. Between 1895 and 1905 one group of stockjobbers set up close to 200 telephone companies. These slick salesmen would come into town full of promises for better service at half the current rates, selling stock in a brand new company to all the leading citizens. Their profits came from the construction of the lines and the sale of equipment, after which they took off in search of new pastures, leaving dismay and bankruptcies in their wakes. Despite bubbles such as these bursting along the way, the independents were convinced, as were many in the financial community, that the day of Bell dominance was over. In January of 1907, Telephony magazine reported the formation of 71 new independents in the United States; in February the count was raised to 110, for a total of "upwards of 12,000 independents in the U.S."
At that time the idea of trust-busting sat just fine with those who regarded "The Bell" as being every bit as nefarious as the railroad, oil, gas, sugar and electric trusts then under attack. While some zealots (among whom many independents were numbered) favored the tomahawk of the Sherman Antitrust Act, others looked to government ownership of the utilities as the panacea. In this latter group was publisher William Randolph Hearst, whose New York City newspapers were then waging a sulphuric and selfrighteous campaign for municipal ownership of the gas and streetcar companies. Despite his big-stick reputation, Theodore Roosevelt disagreed with the down-with-bigness extremists and those others who played around with socialistic notions. "You can build levees to keep the current within bounds and shape its directions. I think that is exactly what we can do in connection with the great corporations known as trusts. You cannot put a stop to or reverse the industrial tendencies of the age, but you can control and regulate them and see that they do no harm." By the time Theodore Vail was called back to AT&T, the sandbag crew was hard at work on the levees. In New York State a reform governor had been swept into office as a result of his quietly tenacious investigations of the insurance, gas and electric companies. He was Republican Charles Evans Hughes, the man who lost the presidency by a razor's edge in 1916 and who was to become Chief Justice of the United States and the nemesis of another Roosevelt a generation later. On the 22nd of May, 1907, Hughes succeeded in pushing the nation's first real public service commission through the New York State legislature-just three weeks after Vail became president of AT&T. The bosses and the corporations who would be affected by the new commission let loose a barrage of epithets against Governor Hughes. "Confiscation... violation of vested right . . . usurpation of power . . . ruination of our prosperity... There is no soil in our political garden so rich for the growth of noxious weeds as the Public Utilities bill"
Actually, the 1907 law did not include the telephone and telegraph companies among those regulated; it was not until three years later that it was amended to add the communications utilities to the roster. But New York State had started the ball rolling, in July of '07 Wisconsin expanded its Railroad commission's powers to cover companies furnishing public utility services such as lighting, power, heat, water, telephone and telegraph. Within the next few years, other states fast followed suit, setting up new commissions or strengthening existing agencies so they could take firm action on behalf of public utility regulation. It was during this period (in 1910) that telephone companies were also brought under the supervision of a strengthened Interstate Commerce Commission. Some of the independents were even less enthusiastic about utility regulation than the old-timers at AT&T. If the various public service commissions were really to serve the public, they might force independents to interconnect with "the octopus" when they didn't want to. 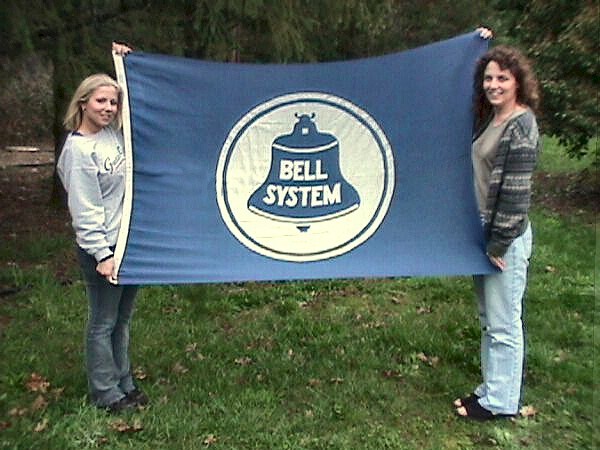 To join "The Bell" would mean losing their autonomy and having to abandon any visions of a rival longdistance network. But the public must be served. This had been, from the very beginning of Theodore Vail's association with the telephone company, his guiding philosophy. In an era of "the public be damned," Vail, general manager of the Bell System in the 1880's, continuously expressed his concern with improving the quality of the service given and equipment used. Profits, he felt, should be plowed back into the infant company so as to provide better service. The best possible telephone service-efficient and courteous-under a nationwide, unified system had been his dream then and it was now. But there were new obstacles in the way of its fulfillment; the opposition of the independents and the rise of government regulation made it a whole new ball game. At a time when his peers were as horrified by commission policing as they were by lawsuit law and order under the Sherman Antitrust Act, Vail saw clearly the implications of these new obstacles. He saw that certain distinctions must now be made, and that they must be made in light of what was best for the public. The telephone, of course, had to be a monopoly. (The phrase "natural monopoly" already had been coined before Vail took over the reins of office for his second and longest-stint as pilot of the Bell corporate ship. ) To have more than one system was-like bigamy-an invitation to unnecessary trials and tribulations. But it had to be a monopoly that performed in the public interest-a "good" monopoly. If not, nationalization would be inevitable. And nationalization, in Vail's opinion, would be a disaster. Vail was the first to perceive that harassing the independents-as unquestionably had been done in the years preceding 1907 - would do little to advance the monopoly cause. Fighting the commissions and government regulation would do even less. Peter Drucker in Management: Tasks, Responsibilities, Practices* has put it this way. Theodore Vairs contemporaries agreed with him as to the degenerative danger of government ownership; but they wanted to fight it by fighting symptoms-fighting this or that bill in the legislature, opposing this or that candidate and supporting another, and so on. Vail alone understood that this is the ineffectual way to fight a degenerative condition. Even if one wins every battle, one can never win the war. He saw that drastic action was needed to create a new situation. He alone saw that private business had to make public regulation into an effective alternative to nationalization. Vail's determination and his confidence in the telephone company's future were unshaken by the fact that the money market was dangerously sagging and recession loomed ahead. "When Mr. Vail came back to the telephone company as president," an executive at the Chicago associated company later recalled, "telephone men and the public generally recognized that somebody was there who not only knew the telephone business, but the world's business, and it restored confidence." Vail was more than just a "telephone man;" he was a knowledgeable entrepreneur, in his 20-year absence from the company, his successful business ventures had made him a millionaire several times over. Almost overnight, he raised $21 million in new capital. He then turned his attention to the other problems of the phone company. In the summer of '07 he chartered a yacht and took officials from all parts of the country and all divisions of the Bell System on cruises so that he could hold conferences with them without interruption. With a forthrightness that startled his more conservative colleagues, Vail next set about to blunt the opposition of the independents by a policy of conciliation, while at the same time proclaiming his firm intention of cooperating with regulatory agencies on behalf of the public good. It is something to know that the Bell bosses admit even to themselves that there is a possibility of improving the "'relations between the public and the associated Bell companies." The arrogant spirit which the monopoly had uniformly manifested in its dealing with the people, of course, could not help but foster a strong feeling of resentment in the public's breast, but never before have the Bell magnates deigned to recognize it and refer (publicly, at least) to the wisdom of improving the relations between the furnisher and user of public service. A year later the magazine no longer was referring to the "hateful qualities" or the "odious tactics" of "the Bell octopus " AT&T now was referred to respectfully as "the Bell Telephone Company." For his part, Vail, too, was displaying tolerance and of a kind unheard of in top AT&T circles. In a mellow mood, he told a reporter for the Wall Street Journal: "While the existence of two telephone systems in a city is a waste and a needless state of affairs, yet in most instances such a condition has been rather a benefit to the Bell companies .... So far as we are concerned it keeps alive the feeling that a monopoly is being held in check"
It is contended that if there is to be no competition, there should be public control. It is not believed that there is any serious objection to such control, provided it is independent, intelligent, considerate, thorough and just, recognizing, as does the Interstate Commerce Commission in its report recently issued, that capital is entitled to its fair return, and good management or enterprise to its reward. This attitude of cooperation with regulatory agencies so as to maintain a "natural monopoly" became, thanks to Theodore Vail's candor, the keystone of AT&T policy. It was essential to his belief that a natural monopoly, to survive and prosper, must maintain the good will of the public and of the government. Time and again in his 13 years as the company's chief executive officer (1907-1920), Vail expounded on his philosophy. While the complexity of the telephone industry makes it a difficult subject of regulation (Vail wrote in 1914), yet it has advocated and seeks full public control. This is done with a confidence in the ultimate fairness of the public and a belief that regulation will help to perpetuate the cooperative relations that should prevail between the public utilities and their customers. 1907 was as difficult a year as any that the telephone company has lived through. It was climaxed by a money panic that saw blocklong lines of depositors, some of them waiting since dawn, to get their money from the tottering banks. "There will be some consolations for the general retrenchment which promises to be one result of the enormous losses of the last nine months," the editor of Harper's Weekly cheerfully pointed out in the fall of the year. "Living had come to be extravagant; so much so that even in very well-to-do families the cost of it strained generous incomes and shocked the common sense of people who were drawn into it in spite of their better judgment. The new fashion promises to be retrenchment." A period of retrenchment for many-but not for the telephone company. AT&T had embarked on an era of expansion and growth greater than any that had gone before, thanks to the vision and leadership of Theodore Vail. "What Woolworth was to the five-and-ten, what Mccormick was to the harvester, Vail is to the telephone," publisher B. C. Forbes declared. "Bell invented it, but Vail put it on the map." "The most interesting man I have met in America," was the way British Lord Northcliffe described the AT&T president, "and by far the greatest." It was a view that was already widespread throughout the telephone business. Selling the Bell System to the public and instilling a spirit of dedication and service in its employees were perhaps Vairs proudest accomplishments. How he set about these tasks and many others-and the way he handled the takeover of the System by the U.S. government in 1918-1919 will be told in a subsequent issue. Vail recognized that the future success of the telephone company demanded a commitment to the idea of service. In 1883, Vail sent letters to the company's general agents asking their views regarding customer satisfaction with telephone service and pricing, the possibility of lower rates or cheaper classes of service, and public attitude trends. One day in the early years of this century, a young woman got off the train in a small Vermont town to place a telephone call to New York City. She explained to the operator at the little station exchange who she was. "Of course, I don't know whether you are Mr. Vail's niece or not," the operator replied. "But I will take your word for it. And if you are, you ought to be proud of that fact, because he's been so good to us girls." Before 62-year-old Theodore Newton Vail returned to the presidency of AT&T in 1907, few customers could expect such cheerful response from telephone employees. In many parts of the country, Bell System operators and managers regarded the public with outright hostility. The Bell System's change of character in those prewar years of rapid growth largely reflected the personality and attitudes of the man who served as its president from 1907 to 1919. But Vail was more than a hard worker with an appealing personality and a gift for gaining the loyalty and affection of those around him. He was an organizational genius and a business decision maker with the ability to see into and build for the future. • The business of the company is the anticipation and satisfaction of the service requirements of the public. • The telephone is a natural monopoly that should be integrated on a national basis. • The Bell System must generate its own research and technology and control its own source of equipment. • The company must attract a strong capital market. • Public regulation of the telephone business must be supported as the alternative to government ownership. With the exception of company policy on public regulation, these viewpoints already guided Vail when he first worked for the Bell System. Though Vail's achievements during his second stint with the phone company are those best remembered today, his blueprint for telephone growth was actually drawn up some twenty years earlier in the 1880's. His vision, it seems, was more than wisdom of the years; even as a young man he could see further than those around him. When 33-year-old Theodore Vail became general manager of the fledgling Bell Telephone Company in 1878, he already had tried his hand at a number of professions and pursuits. He had studied medicine and the law, been a telegraph operator and a school teacher, worked on a farm and in a drug store. Finally, as a clerk with the U.S. railway mail service on the Union Pacific, he discovered his fascination--and genius--for systematizing and organizing. In those days, a passenger embarking on a train trip reached his destination weeks, even months, before a letter starting the same trip at the same time. Until young Theodore Vail came along, no one seemed to have thought of sorting the mail out on board the train. Vail's boundless energy and management skills carried him to the position of general superintendent of railway mails by 1876. It was in Washington that Gardiner Hubbard, Alexander Graham Bell's financial backer and father-in-law, encountered the energetic young postal executive. Hubbard was a member of a Congressional postal committee. Beginning to chafe under the bureaucratic frustrations of federal employment, Vail was ripe for Hubbard's offer to take over organizing the new telephone company--even though it would mean a substantial cut in salary. "Uncle Joe" Cannon, the congressman who would later become the iron-fisted speaker of the House, was astounded by Vail's decision to work for "the thing" invented by Bell. "That's too bad," Joe Cannon is reported to have said. "I always liked Vail. Hubbard tried to sell me some of that stock. I'm sorry he got hold of a nice fellow like Vail." From the very beginning of his association with the phone company, Vail pursued a vision in which everyone in the United States would be connected by the talking wires. Vail recognized that the future success of the telephone company demanded a commitment to the idea of service. In 1883, Vail sent letters to the company's general agents throughout the country asking their views regarding customer satisfaction with telephone service and pricing, the possibility of lower rates or cheaper classes of service, and public attitude trends. But good service, in Vail's opinion, also meant a nationwide consolidation of communications activities -- an impossibility, most people felt, in view of the strength of the Western Union Company. At that time Western Union had acquired its own phone devices, having placed Thomas A. Edison on its payroll and built up a phone system with 56,000 subscribers in 55 communities. When Vail first joined the phone company it was locked in battle with the telegraph giant, then 15 times its size. Vail masterfully took charge of the contest, steering it from confrontation to cooperation. As a result of negotiation with Vail, Western Union acknowledged the Bell company's claim to the basic telephone business and sold its equipment and exchanges to Bell. In return, the Bell company promised hands off the telegraph business in Western Union territories. The peace with Western Union was an important step toward establishing the single nationwide system that Vail envisioned. Another step was the formation of the American Telephone and Telegraph company as a special long lines company for toll services. "This linking up of city to city, state to state, and nation to nation has greater possibilities than we know of yet. I see no limit to what may be accomplished nor to the work to be done." Even after the settlement with Western Union, Vail was looking ahead to when the patents would run out in 1893 and '94. How would the System retain its preeminence? It was essential, Vail felt, to be at the vanguard of communications research once the original patents expired. Likewise, Vail felt that service objectives demanded that manufacturing and supply be integrated into the business. This was assured by the purchase of the Western Electric company in Chicago, a farsighted action engineered by Vail in 1881. But Vail did not have a chance to find the strong capital base he regarded as essential to the fulfillment of his vision of a nationwide system. It was this concern with financing growth that brought about his parting with the telephone company. Then, in 1887, when the president of American Bell resigned, Vail was passed over for the post--at that time a more prestigious one than the presidency of the new AT&T. He felt slighted that he was not made president of the parent company. "My present position in the company," he wrote, "is not such as I had hoped to attain and is also some ways embarrassing and unpleasant." For nearly 10 years this exuberant dynamo of a man had poured his energies into the infant business. Giving reasons of health, he now handed in his resignation. With his wife and son, he took off for some recuperative travel followed by a prolonged sojourn at Speedwell Farms, his handsome spread in Vermont. Happily, Vail was anything but a poor man at this time and soon had many other irons in the fire. With his fascination for inventions that held the promise of revolutionizing lives and life-styles, the former telephone pioneer did not lack enterprises to occupy his entrepreneurial zest. Some of them, like a scheme to heat the homes of Boston with steam heat piped underground, were dismal failures. Others like a street railway in Argentina proved highly profitable. But Vail was still concerned with the fortunes of the telephone company. In a 1901 memorandum to U.S. senator W. M. Crane from Massachusetts, he pointed out the need for the Bell System to build a strong financial base to meet the demands of the battles ahead. This, of course, was at the time when all the basic Bell patents had long since expired and competition from the proliferating independent companies was widespread. "The worst of the opposition," Vail wrote, "has come from the lack of facilities afforded by our companies -- that is, either no service, or poor service. For this, circumstances beyond control are to a great extent responsible, as it was, in the early days, very difficult to provide money." Another American business leader who shared Vail's dream of communications consolidation was J. P. Morgan, the apostle of corporate mergers who masterminded the creation of U.S. Steel, General Electric and other industrial concerns. Vail felt that the Morgan forces promised the sound fiscal policies needed to put the Bell System back in command of the field. Vail lost no time in implementing the strategy he had designed to achieve a single communication system offering the best possible service. He put an end to the harassing of the independent telephone companies and made it attractive for them to link up with Bell. He put a new emphasis on centralized control and standardization of apparatus, equipment and operating methods. He announced the policy of candor and cooperation with government regulatory efforts, determined that the telephone system should remain in private hands. Finally, he established a firm financial foundation for growth. To finance expansion and replace obsolete equipment, Vail raised $400 million during his second presidency of AT&T. To provide a steady and reliable source of capital, Vail redesigned AT&T stock offerings to appeal to the buyers more interested in steady income and growth rather than speculative investments. Perhaps the most important of all Vail's strategies to shore up the tottering Bell System took place in the area of public relations. The new president of AT&T was determined that the public should not only get quality service, but the public should be made fully aware of what it was getting. It was Vail who was responsible for the motto "One policy, one system, and universal service." In 1908, he started what is now called institutional advertising to tell the story of the Bell System as an institution of American life. At the first gathering of AT&T directors after he became president, Vail announced that he intended to spend $250,000 on this campaign. The directors protested that it was not necessary, since everybody already knew about the telephone. "But everybody is not thinking about it," Vail replied. Winning friends for the Bell System was one of Vail's proudest achievements. But to get these friends meant more than telling the public about universal service and the new voice of Bell -- "the voice with the smile." There had to be a reason for the smile; there had to be a new attitude on the part of the System toward its employees if operators and managers were to treat the public with new courtesy and efficiency. To cultivate that attitude, Vail inaugurated many services for employees -- from better rest rooms and cafeterias to sickness, old-age and death benefits. The improvements in wages and benefits reflected his deep personal interest in the well-being of Bell people. Vail's dream of a universal communications system had always included the idea that the telegraph wires should be integrated with the telephone system. The word telegraph was included in the name of AT&T for more than alliterative purposes. Following the panic of 1907, Western Union had fallen on hard times. In 1910, Vail negotiated a stock takeover of the demoralized telegraph company and was elected its president. He lost no time in revitalizing Western Union. "I want the two services linked as closely as it is possible to link them. The costs will be lower, the services will be improved. These little dirty, downstairs telegraph offices must be cleaned up, standardized, made attractive." The marriage with the telegraph service was short lived. In 1913, the Justice Department was about to bring an antitrust suit against AT&T. In a letter to the attorney general, AT&T agreed--in what is now called the "Kingsbury Commitment"--to rid itself of its Western Union stock. It also agreed not to take over any more independent telephone companies unless the Interstate Commerce Commission and the Justice Department gave their approval. Throughout his second career as captain of the Bell ship, Vail scrupulously cooperated with government agencies "in a spirit of absolute frankness and candor." He believed in government regulation as a requisite for insuring that the public was properly served by its utilities. He also believed in government regulation because he saw it as the only workable alternative to government ownership. And in those days there were many advocates of public ownership, particularly after the government takeover of the telephone system in Great Britain in January of 1912. With the entry of the United States into World War I, the advocates of government ownership carried the day. After all, wartime necessity had brought about the government takeover of the railroads. Why not the telephone and telegraph companies? In July, 1918, Congress passed a joint resolution giving postmaster general Burleson the right to take over the wire communications. The short-lived experiment in government ownership--in which Vail and everyone else at the phone company cooperated fully -- proved little or nothing about the value of government ownership. (Except perhaps that it is easier for the federal government to get rate increases. Both long distance and local rates rose, to the dismay of states and localities.) Operations remained in Bell hands, and the System was returned to AT&T the following year. Of Vail's role, the New York Times commented: "Mr. Vail was never a believer in the right of big business to go its way unhindered. No big business man ever submitted to control more loyally, and regulation was his idea of what public interest required." But Vail's work with the phone company he loved was nearly over. In June of 1919--shortly before the return of the Bell System to private hands--he retired as president and became chairman of the board. The big man's health was failing. In April, 1920, three months before his 75th birthday, he died at Johns Hopkins hospital in Baltimore. "Theodore N. Vail was one of the world's great upbuilders. He revolutionized American business by emphasizing service. His record is unmatched in the United States as an upbuilder for service by man to his fellow man." Annette R. Fry is a writer of educational and motivational materials for business--including the AT&T "'Upbeat" show—and a contributor to national magazines. Copyright (c) 1991 by Marcel Dekker, Inc.
To download the Microsoft Word 97 document of this publication, click here. All of this and more would come true, of course, but even the optimistic inventor could not have predicted what would grow to be an association of companies that bore his name, the Bell System. By the time of its breakup nearly 108 years later, the Bell System would have assets of $150 billion and over one million employees. It would be the largest private business enterprise in the world. Ever the inventor, Alexander Graham Bell was not interested in the business of converting an invention into a successful enterprise. Apart from public talks to publicize his invention, and later appearances as a witness in the extensive litigation over his patents, Alexander Graham Bell became simply a Stockholder whose primary interests were in other scientific and humanitarian endeavors. The enterprise's prospects were poor. Shortly after the Bells left for Europe, Gardiner Hubbard offered to sell all the Bell patents to William Orton, president of the giant Western Union Company, for $100,000. Seeing no way that the "electrical toy" could benefit his business, Orton refused the offer. Rejected, Hubbard set out again to turn Bell's invention into a successful business. His first and most important decision was to lease the telephone instruments instead of selling them. A similar strategy had been adopted by the Gordon-McKay Shoe Machinery Company, for which Hubbard had been an attorney. Although leasing would enable the Bell interests to protect their patent rights, it actually increased the enterprise's needs for funds to move the business forward. When the Bell Telephone Company was formed on August 1, 1877, only 778 telephones were in use and the firm desperately needed additional capital. Hubbard's second strategic decision was to solve that problem by using agents to develop the business in other regions and in promising local markets. Thomas Sanders managed to convince a group of men from Massachusetts and Rhode Island to invest in a firm to develop the telephone in New England. On February 12, 1878, they formed the New England Telephone Company (this firm has no direct relationship with the present-day New England Telephone and Telegraph Co.) and set about the task of leasing the telephones to customers in the urban Northeast. Still, the Bell interests were short of funds, and to bring in new investors and the much needed capital, they incorporated a reorganized Bell Telephone Company in Massachusetts on June 30, 1878. The next month, Hubbard persuaded Theodore N. Vail, then superintendent of the government's Railway Mail Service, to join the new company as general manager. Along with O. E. Madden (who was recruited from the Domestic Sewing Machine Company and placed in charge of agency operations), Vail brought professional management to the Bell enterprise for the first time. One of the other hallmarks of the American telephone system - rapid technological progress - also became evident during these early years. At first, each pair of telephones was connected by a single line-an expensive and ineffective arrangement. The solution to this problem was the telephone switch and central office or exchange (and with it, the first operators). At the exchange, all of the local telephones were connected to a switch, very simple at first, but growing increasingly complex as more and more lines were added. The switch became the switchboard, and the first telephone exchange opened on January 28, 1878, in New Haven, Connecticut. The Bell Company soon was able to demonstrate that the telephone worked, that it was useful, and that large numbers of urban Americans would pay to have this service. Indeed, only a few months after turning down Hubbard's offer, Western Union realized that it had made a mistake: customers for the telegraph company's stock ticker service were busily ordering telephones. In 1878, Western Union bought Elisha Gray's telephone patents, commissioned Thomas Edison to work on improvements, and organized the American Speaking Telephone Company. This set the stage for a major corporate battle with the fledgling Bell Company (2). Vail, the new Bell general manager, took up the battle. Vail sent a copy of the Bell patent to every agent, along with a letter asking each of them to keep fighting. "We have the original telephone patents," he wrote. "We have organized and introduced the business and do not propose to have it taken from us by any corporation." He tried to bolster the agencies so they would have "sufficient vitality to carry on a fight . . . " (2). At this point, however, the situation looked bleak. Edison had developed a much better transmitter. Western Union was using its superior resources to gather in new subscribers in the nation's largest cities and had penetrated even the Bell stronghold in Massachusetts. Hubbard and Vail responded with a patent infringement suit, but that legal skirmish threatened to drag on for many months. It was thought that the Bell firm might well go under before the courts could decide the matter. Determined to best the telegraph company, Bell's investors decided to strengthen and reorganize their undertaking in late 1878. They brought William Forbes, a Boston financier, onto the board of directors. Forbes had considerable business experience and a keen appreciation of the problems of running a large, complex company. He submitted a reorganization plan that the board accepted early in 1879. Under this plan, authority was centralized in a new executive committee. Hubbard and Sanders were no longer in charge. Forbes became president of the revamped and recapitalized National Bell Telephone Company, an organization that consolidated the New England Company and the old Bell Company. Theodore Vail continued to serve as chief operating officer for the consolidated operations. Revitalized, National Bell intensified the competition throughout the country, and Western Union, concerned that the courts might uphold the Bell patents, decided to negotiate a peace treaty. Western Union agreed on November 10, 1879, to a settlement of the infringement suit and withdrew from the telephone business for the duration of the Bell patents. It sold its 56,000 telephones to National Bell. In return, Bell agreed to refrain from entering the telegraph business and to pay Western Union 2007o of all royalties paid under its former license contracts. The agreement reflected the fact that, in 1879, telephone and telegraph technologies were essentially complementary: the telephone could not be used over long distances, but it was more practical than the telegraph for local communications. In addition to consolidating the licensees, American Bell acquired a larger, more productive manufacturing installation. Initially, all of its telephone equipment was manufactured at Charles Williams's electrical shop in Boston, where Watson and Bell had conducted their early experiments. However, the demand for the telephone apparatus soon became too large for this shop and manufacturing was contracted out to several independently owned and managed electrical manufacturing firms. But the problems of enforcing contractual agreements, maintaining quality, and adhering to patent specifications ultimately forced Vail and Forbes to decide that American Bell should exercise direct managerial control of this function. In February 1882, American Bell acquired the Chicago-based electrical manufacturing firm, Western Electric, and gave it exclusive rights to manufacture Bell telephone equipment. Other changes followed. In December 1883, the company split its small Electrical and Patent Department into two, more specialized units. Originally, it had organized this unit primarily to evaluate patents and devices developed by independent inventors. Now it organized a Mechanical and Testing Department responsible for "experimental work relating to circuit design and equipment inspection" (4). The staff of the two departments grew from 2 to 20 and the Mechanical and Testing Department became the nascent research arm for the Bell Company. Vertical integration along these lines would be another hallmark of the Bell System for the next century. By 1884, when the 5-year license contracts had been replaced with perpetual contracts allowing American Bell to take equity positions in the licensees, the Bell enterprise was a far different entity than the loosely coordinated set of interests established in 1880. Despite its reorganization and recapitalization, American Bell was having trouble developing long-distance service between the exchanges. By early 1885, the limits of its approach to the regional toll business were evident. The Southern New England Telephone Company announced it was abandoning its 200-mile segment of the experimental toll line between Boston and New York City, even though the line was a technical success. For the most part, transmission problems had been solved, but the line turned out to be more costly than anticipated and the regional company was not interested in bearing the additional expenses. These complications prompted Theodore Vail to devise a new way of organizing the long-distance service. With the blessings of his Boston superiors, Vail developed a separate, wholly-owned long-distance subsidiary. He recruited Edward J. Hall from the Buffalo, New York, exchange as general manager and Angus S. Hibbard from the Wisconsin Telephone Company as general superintendent (5). Vail, who became president of the new company, instructed Hall to incorporate the subsidiary, named the American Telephone and Telegraph Company (AT&T), in New York State, which had far less restrictive incorporation laws than Massachusetts. The charter would allow AT&T to increase its financing to "an unlimited amount." "Make the powers of this Company to build, buy, own, operate, lease, etc. . . . lines extending from any city in the state to each and every other city in the United States, Canada, and Mexico and to be connected by cable with the rest of the known world," Vail told Hall (6). The 1885 AT&T charter of incorporation contained these exact words. With the formation of AT&T, all of the basic functions-long-distance service, local operations, manufacturing, and research and development -that would comprise the Bell System were now in place and, with the addition of network manager responsibilities, American Bell's role as parent company became more complex. Hall recognized that AT&T's commercial success depended upon its ability to use all of the existing exchange and toll facilities belonging to Bell licensees as "feeders" into its inter-city network. But it was no simple matter to persuade the licensees to cooperate. They had their own business to tend to and their own interests to serve. AT&T found itself embroiled in such disputes as the one that arose over the building of a trunk line between New York and Philadelphia; American Bell, the Metropolitan Telephone and Telegraph Company of New York, and the Bell Telephone Company of Philadelphia could not agree on the terms of interconnection. This dispute held up construction of the line until January 1886. Some officials in American Bell thought the answer was to make all the associated companies wholly-owned subsidiaries. But Hall cautioned that a more gradual restructuring was needed. American Bell, he thought, should avoid a conspicuous move toward establishing a national telephone monopoly. His view won out, although American Bell did increase its equity position in the licensees. Ten years later, a complete consolidation of the associated companies was again considered and rejected for the same reasons. During these years, the Bell System experienced only modest growth in the number of exchanges, but the pace of technical advancement was very rapid. Circuit capacity was increased; grounded iron wire was replaced by new metallic circuits; and the common battery system was improved. As long-distance operations reached into more and more local areas, American Bell pressed the local companies to standardize their equipment. These efforts often were rebuffed by the local companies. Bell officials found that they had to proceed gradually, developing new specifications by consensus and leaving compliance to be monitored by the local firms in the System. American Bell also recognized that a standardized accounting system was needed to report results throughout the System, but attempts to introduce one ran into many of the same problems of implementation. In fact, it was 1891 before a compromise plan, reflecting an emphasis on operations as the main source of revenue rather than patent-based royalties derived from equipment rentals, could be introduced (5). Although American Bell was making progress in spreading the telephone and integrating the System's technology, Vail was not satisfied. He thought the Boston investors were too interested in large dividends and wanted those funds to be pumped back into the long-distance network. Disgruntled over the firm's shortsighted policies, he left the telephone business in 1887. When the Bell patents expired in 1893 and 1894, American Bell would have to face a new era without Vail. On the eve of that new age in 1892, there were nearly 240,000 telephones in use in the United States, most of them in urban areas, largely in the eastern part of the country. Within 6 years after the patents expired, over 6000 independent telephone companies had entered the business, quickly extending service into rural areas and small communities. Some cities found themselves with two or even three competing firms offering services, usually at rates lower than the local Bell Company. Competition forced the Bell companies to cut prices and seek new ways to enhance operating and managerial efficiency. As the competition intensified, American Bell's need for capital to finance growth became enormous. After reaching an accommodation with the state of Massachusetts, the firm issued 5000 new shares in late 1894, followed by another block of 10,000 in 1895, and another of 21,500 a year later. In 1898, American Bell took advantage of a recovering economy to issue $10 million in 10-year bonds, launching a new phase in the company's financing. Even though the Bell System was continuing thus to grow, its managers decided that the corporate climate of Massachusetts was too restrictive, and on December 31, 1899, they made the New York-based American Telephone and Telegraph Company the parent company of the System. At this point the Bell System-the name now appearing on the company's new seal-was organized institutionally much as it would be some 83 years later (Fig. 1). 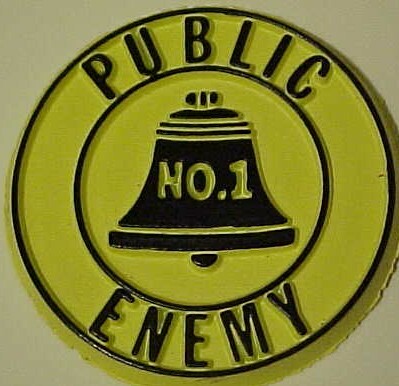 Fierce competition forced the Bell company to develop a variety of new policies: for instance, it began sublicensing of some independent exchanges, in effect bringing them into the System; it began to extend greater financial aid to Bell exchanges; it continued to push the expansion of the long-distance lines; it acquired strategically located independent exchanges, and it launched patent infringement suits. Clearly, its long-distance network was the single most significant edge the company had (just as Vail had predicted). The independent companies made several attempts-some individually and others collectively through their association, the Independent Telephone Association-to develop competing networks, but all of these efforts failed. Nevertheless, the competitive battle continued to accelerate telephone development: by 1907, there were about 3,132,000 Bell telephones and 2,987,000 independent telephones in use. Other important changes took place in the Bell System during these years, but they were obscured by the furor over competition. The company's precarious financial situation allowed the J. P. Morgan banking interests to gain a strong voice in the company's affairs, and in 1901, Morgan tried to entice Vail to return to Bell's management. He refused, but did become a member of AT&T's board of directors. Efforts at administrative centralization and standardization also continued. The AT&T Engineers Department had by this time become the focal point for developing specifications and encouraging technical progress throughout the System. By this time, too, Western Electric had become more than just a manufacturer of equipment; it provided purchasing services, warehousing, and distribution for the various Bell companies. In 1908, these arrangements were institutionalized with the introduction of the "standard supply contract" between Western and each of the licensees (5). Under President Frederick Fish (1901-1906) the company made great strides, taking on the characteristics of an integrated (albeit somewhat loosely organized) system. But competition became even more fierce. By 1906-1907, AT&T had run out of funds essentially and was forced to curtail virtually all licensee capital expenditure programs. The bankers were worried understandably, and they finally enticed Vail to return to active management. In 1907, he became president of AT&T. The value of a telephone system is measured by the possibility of reaching through its connection anyone-at any possible place.... It must be a system that will afford communication with anyone that may possibly be wanted, at any time. To do this, the system must offer a connection of some kind, and at such rates, as will correspond to the value of the system to each and every user. As Vail explained, the Bell network was "one system telephonically interconnected, intercommunicating, and interdependent" (7). Vail made "One System, One Policy, Universal Service" the Bell System credo. Government regulation also played a role in Vail's plans. He clearly recognized that the System he proposed a universal, integrated monopoly - would not meet with public approval without some form of public control. Wanting to avoid municipal ownership and the ever-present specter of nationalization, Vail embraced state regulation. Although he liberalized AT&T's policy on interconnection with the independent companies, Vail continued an active policy of acquiring other firms. Consistent with his vision of a single integrated national system was AT&T's acquisition of a 30% interest in Western Union. For a short time, the telegraph company was operated in conjunction with AT&T. Meanwhile, Vail moved to strengthen the company internally. He shifted the AT&T Engineering Department from Boston to New York and consolidated it with the Western Electric research staff. In 1907, he launched a major reorganization of operations, changing a territorial organization into a functional one with three major operating departments-plant, commercial, and traffic. First, he reorganized the Long Lines Department. It proved more difficult to persuade the associated Bell companies to adopt the new structure, and Vail accepted a reasonable amount of latitude where they were concerned. But no longer would he allow the operating companies to direct Western Electric to manufacture equipment to their own specifications. AT&T now standardized the equipment and began to set standards for operating procedures as well throughout the Bell System. By 1911, the Bell System was gaining the upper hand in the national marketplace for telephone service. Independent company growth had stopped and the number of independent company stations in service declined as Vail's aggressive policies took effect. The independents fought back by protesting to the U.S. Department of Justice, which began monitoring AT&T for potential antitrust violations. Under this pressure from the independent companies, the government filed a suit in July 1913. The complaint focused on AT&T's interconnection and acquisition policies in Oregon and sought divestiture of the acquired properties. With antitrust sentiment strong throughout the nation and the Postmaster General advocating nationalization of the telephone system, AT&T decided to settle the case. AT&T vice president Nathan C. Kingsbury sent the government a letter of agreement that became known as the Kingsbury Commitment. In it, AT&T agreed: (1) to dispose of its Western Union holdings; (2) to permit the independent companies limited interconnection with its long-distance network; and (3) to refrain from purchasing additional independent properties without approval from the U.S. Interstate Commerce Commission. Although the Kingsbury Commitment settled the antitrust issue for a time, the government took over the telephone and telegraph systems for a short period during World War I. After the war, there was some interest again in nationalization, but the government returned the System to private operation as of August 1, 1919. Congress endorsed this arrangement-including the Kingsbury understanding-by the passage of the Willis-Graham Act in 1921. One of the strongest arguments for private ownership and operation was the Bell System's record of technological progress. Vail clearly had improved the technical performance of the network. Bell engineers had risen to Vail's challenge to complete a transcontinental line in time for the Panama-Pacific Exposition. The line formally opened on January 25, 1915, with a ceremonial call between Alexander Graham Bell in New York, Thomas Watson in San Francisco, and Theodore Vail in Jekyll Island, Georgia. On October 21 of the same year, Bell engineers conquered the Atlantic, when one engineer atop the Eiffel Tower in Paris listened to another in Arlington, Virginia, via radio transmission. Such accomplishments as these highlighted the heavy investment AT&T was now making in research and engineering. The new, more important, position of research and development in the Bell System was institutionalized in 1925 with the founding of Bell Telephone Laboratories. By the time Vail retired as president in 1919, the Bell System had achieved its modern structure and mode of operations. The vertically integrated System was centralized technologically and dedicated to ongoing technical innovation. The operating companies still had considerable discretion in financial and political matters so that they could adapt to local conditions. This decentralization became increasingly important as state regulatory commissions strengthened their statutory authority. During the 1920s, with Harry Thayer and then Walter Gifford (1925) at the helm, the Bell System continued to expand service despite the financial problems of operating a regulated network in an inflationary era. In an effort to strengthen investor confidence, management set the annual dividend at $9 in 1921. But it was not easy to maintain this standard. The Bell System had a 46% debt ratio, and its costs were climbing faster than its revenues. Improved earnings were needed, so the Bell System vigorously and successfully pursued a round of rate cases through the state commissions. These state agencies had considerable latitude in determining the rate base and the rate of return, but their commissioners were often unsure how far their authority extended. There was great variation among the commissions and, therefore, among the Bell companies both in the rates they charged and in the levels of earnings they allowed. Nevertheless, the commissions and Bell management were committed to achieving satisfactory and efficient universal service, and they functioned in relative harmony through the 1920s. During this period, Walter S. Gifford provided the Bell System with decisive and innovative leadership. For a while, AT&T had followed its research and development successes into new fields. It launched a commercial radio station, WEAF, in August 1922, and in October 1923, it established the Red Network. Adventures in the world of Hollywood with sound motion pictures began with Don Juan in 1926. Management organized a Western Electric subsidiary, Electrical Research Products, Inc. (ERPI) to market its new sound-equipment products. But Gifford decided the Bell System should concentrate on one business, providing communications services in the United States. He began to spin off or license many of these by-products of Bell research to others. He sold radio broadcasting to the National Broadcasting Company in 1926. Western Electric sold its extensive and well-established international equipment business, International Western Electric Co., to International Telephone and Telegraph Company (ITT) in 1925; 3 years later Western sold the Graybar Electric Co., an electrical supply subsidiary, to its employees. ERPI was allowed to continue, but it became a low-key, low-priority part of Western's business. As Gifford explained to the National Association of Railroad and Utility Commissioners in 1927, the Bell System had an unusual obligation "to provide the most telephone service and the best, at least cost consistent with financial safety" (8). Anything that threatened to interfere with the fulfillment of that "obligation" had to be changed or eliminated. Although the Depression hit the Bell System hard, AT&T was able to maintain the $9 dividend and, along with it, investor confidence. The number of telephones in service actually declined and did not regain the 1930 peak until 1937, but Gifford was able to sustain public faith in the Bell System, which was particularly difficult since Congress was considering new legislation to regulate the telephone, telegraph, and broadcasting industries. In 1934, the legislature passed the Communications Act, which created a new independent regulatory agency, the Federal Communications Commission (FCC). The FCC quickly initiated the first comprehensive government investigation of the telephone industry. AT&T cooperated by turning over voluminous company files to the special investigation, but Bell management strongly criticized the fact that the FCC refused to allow the company to bring its own witnesses or cross-examine those called by the Commission. AT&T had cause to be concerned: Commissioner Paul Walker's report (1938) was a full-swinging attack on the Bell System, with particular emphasis on the ties to and the operation of Western Electric. AT&T replied in detail, and in 1939, the FCC approved a substitute for the Walker Report, retaining the data but toning down the criticisms of the Bell System. Still, the investigation and report drew lines of battle between the government and the Bell System, whose structure and monopoly status would be challenged again and again in the following years. During the next few years, however, the government was more interested in economic performance than in antitrust. World War II tested the Bell System's organizational and technological abilities to the utmost. Almost 70,000 Bell System employees went into the armed services, while on the homefront Bell Labs and Western Electric virtually stopped developing civilian telephone equipment in order to provide telephone facilities for army camps, airplane warning nets, arsenals, and munitions plants. AT&T discouraged unnecessary long-distance calls so that the network could remain free for military and service personnel use. Bell Labs worked on some 1200 government projects, including the electrical antiaircraft gun director and radar. Specialized training in communications was given to military personnel. At war's end, pent-up demand created a backlog of almost two million unfilled orders. Financially, the Bell System emerged from its war efforts in a weakened condition, and AT&T again had to pay the $9 dividend from surplus. Once more, the Bell System turned to the regulatory agencies for rate relief, but this time the problem was compounded by the need to modernize facilities and to meet the increased demands for service. Also, for the first time in its history, the Bell System had a major struggle with organized labor, when the National Federation of Telephone Workers went on strike. This was the first nationwide strike in telephone history. The central issue was local versus nationwide bargaining, and the strike, which lasted from April 7 to May 20, 1947, had a traumatic impact. Long-distance service was cut to about 20% of normal capacity; local service was nearly normal for 16.5 million dial telephones but virtually nonexistent for about 6 of the 9 million manual telephones. AT&T was the nominal victor this time both on the issue of wages and on nationwide bargaining, but the firm's managers were left with doubts about the continued feasibility of holding out for local bargaining in future negotiations (9). In 1948, Walter Gifford retired, to be succeeded by Leroy Wilson as AT&T president. Wilson mounted a tough and unpopular campaign to cut expenses and increase AT&T earnings. AT&T's debt-to-equity ratio had soared to over 50%, and the firm was in danger of having the quality of its bonds downgraded. Bell companies filed more rate cases, but it was well into the 1950s before rate activity coupled with technological improvements enabled the System to achieve acceptable earnings levels again. Wilson died suddenly in 1951, and Cleo Craig, the new president, followed through on Wilson's initiatives so that by 1955, the debt ratio was down to 35%. The System's financial crisis had passed. These postwar years were trying but ultimately rewarding for the Bell System. Service improvements often were not prompt, but the backlogs were overcome eventually. By 1956, the nation had over 60 million telephones in service, 51 million in the Bell System (an addition of 24 million since 1946); 89% of all Bell System telephones were dial operated; and 11 million customers could dial nearby cities and 2.7 million could dial directly to 20 million telephones all across the nation (10). The transistor, invented at Bell Laboratories in 1947, was beginning to have an impact in telephone equipment; coaxial cable and microwave systems were rapidly reducing the cost of long-distance calling; and AT&T completed the first transatlantic telephone cable in 1956. The Bell System, building on its war experience at Bell Laboratories and Western Electric, was engaged in major defense communications and guidance systems projects for the U.S. government, notably Nike, "White Alice," and DEW line. At the government's request, Western Electric had begun management of the U.S. Sandia atomic energy lab in 1949. By the mid-1950s, the System had weathered its second antitrust challenge also. In 1949, the U.S. Department of Justice had filed an antitrust suit asking for the divestiture of Western Electric Co. The suit was settled in 1956 before going to trial. By the terms of the consent decree, the Bell System confined its business activities to common-carrier communications service, agreed to license its inventions to all interested parties, and limited Western Electric to the manufacture of equipment of the type used by Bell operating companies. In return, the government accepted the integrated corporate relationship between AT&T, Western Electric, Bell Labs, and the associated operating companies. Frederick Kappel, who succeeded Cleo Craig as AT&T president in 1956, made "vitality" the System's byword. Changes in AT&T's financing were an embodiment of Kappel's strategy. Rights were offered to existing shareowners as the authorized stock of the company was increased from 60 to 100 million shares. In 1958, AT&T issued $718 million in convertible debentures and offered 7 million shares to Bell System employees; the next year, the AT&T Board approved a 3-for-1 stock split, along with the first dividend increase since 1921. The Board increased the dividend again in 1961, 1963, 1965, and 1967, and split the stock again - this time 2-for-1 - in 1964. Investors began to look at AT&T stock as a "growth" issue. The object of these and other financial maneuvers in the 1960s and 1970s was the enhancement and expansion of the national switched network, the real system in the Bell System. By the mid-1970s, the network represented about 9307o of the Bell System's net investment and produced 95% of its revenues. At the base of this network were some 25,000 local Bell and independent company switching offices. These offices served from just a few subscribers up to 10,000 lines. There were as well four additional levels of switching offices, called tandem offices, and this complex network was extended through cables and then satellites to the entire world (2). Satellite communications came of age in the early 1960s. In 1962, Congress established Communications Satellite Corporation (Comsat) by statute to develop an international communications system. Also in 1962, the Bell System launched its first experimental communications satellite, Telstar, which was followed quickly by the higher altitude Telstar II and RCA's Relay satellites. Other technological breakthroughs had a decisive impact on Bell System operations: electronic switching systems (ESS); Touch-Tone dialing; new, higher capacity coaxial cable and microwave transmissions systems; micro-miniaturization for data- and voice-transmission equipment; higher capacity transatlantic cable; and the first transpacific cable. Earnings were up and investor confidence was at an all-time high. Prices for long-distance service continued to decline and local service prices remained stable, largely as a result of increasing revenue support from long-distance to local service through the separations process (11, 12). Roughly 90% of U.S. households had a telephone, and the structure of the Bell System, in effect, had been ratified by the federal government with the 1956 Consent Decree. These were golden years for the Bell System. Soon, however, new challenges, as well as some old ones, began to materialize. Buoyed by the relatively easy availability of new technology and spotting economic opportunity inherent in regulatory pricing, other firms sought some of the Bell System's traditional business. The first attempts at entry into heretofore closed markets occurred in the comparatively small private-line business; this took place when the FCC decided to allow other companies to build their own systems using the radio frequency spectrum above 890 megacycles (now megahertz). Soon after, a small start-up venture, Microwave Communications, Inc. (MCI), petitioned the FCC to offer private-line service between St. Louis and Chicago. The FCC, which in 1965 had inaugurated a major formal investigation into the Bell System's long-distance rates, opened the door a crack by approving MCI's application. 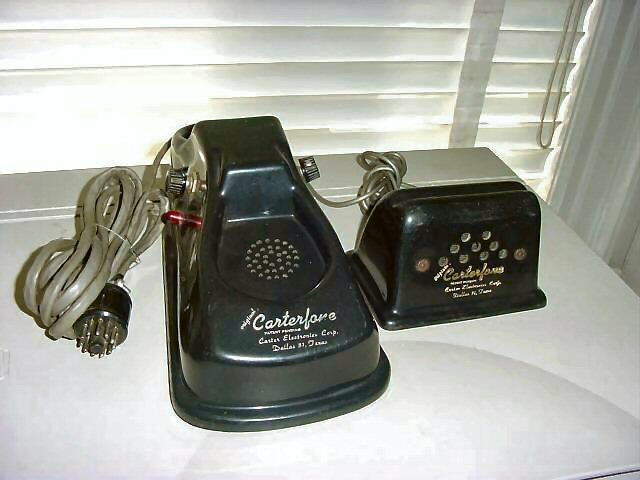 In 1968, another traditional Bell System and regulatory policy was changed by the FCC in its Carterfone decision, which struck down the "foreign attachment" tariffs; now the FCC would allow private equipment to be interconnected with the Bell network, modifying Bell's end-to-end responsibility. By the end of the 1960s, the Bell System was encountering other serious problems. The rate of inflation had been increasing since the middle of the decade, and the Bell System's earnings were eroding. Unable to keep up by productivity improvement alone, the System again turned to the regulatory agencies for rate increases. Compounding this difficult task was a decline in service quality that reached crisis proportions in New York and a few other cities. H. I. Romnes, who had replaced Kappel as AT&T chairman in 1967, struggled to get the System back on course. He was able to get service back to normal levels; quality service, after all, was the core value of the Bell System. He achieved this goal in spite of a major strike by the Communications Workers of America (CWA) and the International Brotherhood of Electrical Workers (IBEW) -a strike that lasted for up to 137 days in some areas. While Romnes was attempting to deal with the changing market environment, the FCC continued its policy of fostering more competition. In 1971, it opened up the entire private-line market to all comers with its Specialized Common Carrier decision. It also started a new large-scale investigation into the Bell System's rate of return, probing deeply into the company's costs and internal structure, particularly its relationship with Western Electric. When Romnes retired in 1972, he was succeeded by John D. deButts, who moved quickly to shore up a sagging employee morale as well as the company's lagging earnings. deButts spoke out forcefully against competition, pointing out that he felt it would lead ultimately to drastic changes in the way telephone service was provided and priced. He warned that allowing others to siphon revenues away from long-distance services jeopardized the regulatory price structure that covered a significant part of the costs of exchange-service. He criticized the policies that were undercutting the Bell System's end-to-end responsibility for service. Threatened, he believed, was the integrity and quality of the whole system. As deButts's close assistant, Alvin von Auw, observed, "The fundamental basis of our business is under attack on a broad scale" (9). At this time, the Bell System was still organized basically in Vail's three-column form-plant, commercial, and traffic. This functional structure had proven successful in a system dominated by operations and engineering. But deButts, realizing that a change was in order, began by reorganizing along the lines of service markets-customer services, operator services, and network services, and organized a new marketing department in mid-1973. But even though he was changing the System, deButts wanted to do all that he could to keep intact those aspects of the System that he felt were essential to good telephone service. In September of that year, he made an important speech before the National Association of Regulatory and Utility Commissioners convention. Calling for a "moratorium on further experiments in economics," he took to the public the Bell System's case for the common-carrier principle and "thereby, by implication, to oppose competition [and] espouse monopoly" for the industry. The FCC's decisions, he said, created "contrived competition." If competition was to be the order of the day, he observed, AT&T would compete vigorously. But to do so, it had to be free to maneuver (13). deButts hoped that his forceful words would arouse a public debate, and he was confident that the Bell System, which had served the nation well, would prevail. But the FCC continued down the "slippery slope" it had stepped onto a decade earlier. Its registration decisions in 1975 and 1976 in effect allowed customers to provide their own telephones, private branch exchanges (PBXs), and other terminal equipment without connection by a telephone company and without any interface requirement (so long as the manufacturers registered the equipment with the FCC). This decision brought an end to the responsibility that the telephone companies had long held to furnish service from one end of the call to the other and to maintain it. The courts became involved in these issues as the new competitors filed private antitrust suits against the Bell System, alleging a variety of anti-competitive acts. They claimed damages because the Bell System had obtained most of its equipment from its own manufacturing arm, Western Electric Co.; because various regulatory orders and Bell System procedures made it difficult for them to sell their products and services; and because of the Bell pricing responses to the newly authorized competition. The new competitors took unfavorable regulatory decisions to the courts as well, hoping that they would be sustained. One such decision, on MCI's Execunet long-distance service, reversed an FCC ruling and opened up the entire long-distance market to competition for the first time. In November 1974, the US. Department of Justice filed against the Bell System, charging monopolization and conspiracy to monopolize the supply of both telecommunications service and equipment. The government requested divestiture of various parts of the integrated enterprise. The Bell System denied that it had violated the antitrust laws and vowed to fight the case through the legal system. Hoping to elicit a clear statement of public policy for telecommunications, AT&T asked Congress to enter the debates. Holding hearings over 5 years on several bills (introduced beginning in 1976) to modify the Communications Act, Congress generated reams of paper and seemingly endless testimony. But a consensus could not be reached and no changes were made in the law. The Communications Act still stands essentially as passed in 1934. When John deButts retired as chairman of AT&T in 1979, he left behind a paradox. He had successfully brought the Bell System back-earnings were good, service was better than ever, and facilities were being modernized rapidly with the new technology generated by Bell Labs and Western Electric. It was a strong, viable, growing business. But the business was deeply mired in political and legal confrontations. John deButts had not been able to slow the tide of change coming from new competitors, their political supporters, the courts, and the regulators. This was the situation inherited in 1979 by deButts's successor, Charles L. Brown, the author of this article. My first years at the head of the Bell System presented a difficult managerial challenge. Distracted by repeated legal, legislative, and regulatory problems from the complex job of running the world's largest corporation, the Bell System's managers had to find a way out of the public-policy dilemmas or risk losing control of the company's destiny. It was becoming increasingly clear that unless something was done quickly, the Bell System would miss the opportunities that were arising in the new information-age marketplace, and, in fact, have constant difficulties using its own newly developed technologies. We had a responsibility to our shareowners, our customers, and our employees not to let the business be legislated, regulated, or competed into a position of deterioration. We faced the following problems: (1) the trial in the US. antitrust case, in which an unfavorable decision appeared a strong possibility; (2) a Congress that was considering complex regulatory legislation so The Bell System that would have made it difficult for the Bell System to operate effectively; (3) a regulatory system that essentially had abandoned both the common-carrier principle and the concept of a unified, managed network; and (4) unregulated competitors who had exacerbated our problems with government agencies and were quickly moving into Bell System markets and picking off new-product markets that AT&T was not allowed to enter. The monopoly pricing plan of having long-distance revenues support local-service prices made it simple to undercut AT&T's long-distance rates by those competitors whose revenues did not, for the most part, support the local service. A major duty of corporate management is to make certain the business conforms to public policy. If not, in the long run, it will not survive. Public policy at that time, however arrived at, was searching for a change. The Bell System was perceived by some part of the public as too big, too powerful, or too pervasive. The new public policy was intended to make competition in long-distance services the rule, not the exception. Time was not in the Bell System's favor - opportunities would be missed and it was impossible to plan for the future until legal, legislative, and regulatory problems were resolved. To gain access to new markets and retain access to current markets, the Bell System would have to agree to radical restructuring. Acceptance of the Justice Department's major demand, the divestiture of local operations via a relatively simple, broad decree, would leave AT&T free to reorganize on a business basis as opposed to reorganization detailed by a court or a legislative body. Of the three options-continuing litigation, agreeing to crippling legislation or an injunctive decree, or accepting divestiture of our local telephone companies - the last was the best course to follow for the public and the stockholders (14,15). The Justice Department's goal was to separate the Bell System's competitive operations from those that were in the realm of natural monopoly, that is, the local-exchange businesses. This was a clean but painful procedure. To retain its vertical structure and gain freedom to compete and follow its technology into new markets, AT&T would have to give up its nationwide partnership of companies providing total, end-to-end communications service. Only then could we lift the cloud of uncertainty that had hung over the business for most of the past decade. To the extent humanly possible, our service to all segments of the public win be provided at the same high levels which have been the hallmark of the Bell System service. The integrity of the investment of the 3,200,000 owners of the business will be preserved. The reorganization will be carried out in such a way as to ensure that the people of the Bell System will have as much employment security and continued career opportunity as possible. I believe we honored all four principles. At divestiture, which took place January 1, 1984, the date the Bell System ceased to exist, the seven regional companies handled all local calling, some intrastate long-distance business, customer access to long-distance networks, as well as directory advertising. They were permitted also to compete in the provision of new customer premise equipment. The regional Bell companies were restrained from manufacturing telephone equipment and entering the bulk of the long-distance business and some "information" services, but they could, with the permission of the court, enter other businesses. The "new" AT&T's business consisted of long-distance services, services for all customer-terminal equipment then in place, research and development, and the Western Electric manufacturing company. AT&T was in competition with every company that chose to enter its markets, and it was free to enter nearly any new markets it desired. Each stockholder received one new share in each of the seven regional holding companies for every ten shares of AT&T stock held. All of the eight companies fisted their shares on stock exchanges, where they could be bought and sold freely. At this writing, each of the new companies, divested with a common heritage and common culture, is finding its own way in the new and exciting age of information. Over time they will establish individual cultures and heritages while continuing as a part of the network of communications services for the entire United States. The agreements, business and personal relationships, and standardized procedures built up over a century under the integrated Bell System have been replaced by new, arms-length business contracts. Some changes have occurred at both levels of the telecommunications regulatory scheme: states have deregulated certain services either partially or wholly; the FCC has eliminated the difficult business separation requirements placed on AT&T in the early 1980s and moved to replace the unwieldy rate-of-return constraints with price caps. However, federal and state regulation is still pervasive and is applied to the telephone companies' monopoly local exchange business and to AT&T's competitive telecommunications services but not to its long-distance rivals. Moreover, the federal judge who presided over the trial and the consent agreement regularly makes major decisions pertaining to compliance with the decree. These decisions sometimes affect the structure and performance of the industry and the services the American public receives. In the relatively short period since the new companies emerged, many changes in company organization, markets, and products have taken place. New technologies are being employed to provide new products and still better service. Change and adaptation - long-standing characteristics of the Bell System - continue to be central aspects of the telecommunications industry today. My vision of the future in this age of information is strong and positive, much as Alexander Graham Bell's vision for his new invention was in 1876. Today, Theodore Vail would perhaps be upset about the stark differences between our industry and the Bell System he helped to create nearly 100 years ago. He would have lamented the Bell System at its end but applauded the ability of the business to adapt to current demands, the new products and services, the global extent of AT&T's operations, and the new technologies that comprise our vision of the future of telecommunications. From Bell System Statistical Manual and AT&T annual reports. AT&T, Events in Telecommunications History, AT&T, New York, 1983. Boettinger, H. M., The Telephone Book: Bell, Watson, Vail and American Life, 1876-1983, Stearn Publishers, New York, 1984. Brooks, J., Telephone. The First Hundred Years, Harper & Row, New York, 1976. Bruce, R. V., Bell. Alewnder Graham Bell and the Conquest of Solitude, Little, Brown, Boston, 1973. Coll, S., The Deal of the Century, Athenaeum, New York, 1986. Gamet, R. W., The Telephone Enterprise: The Evolution of the Bell System's Horizontal Structure, Johns Hopkins University Press, Baltimore, 1985. Henck, R W., and Strassburg, B., A Slippery Slope. The Long Road to the Breakup of AT&T, Greenwood Press, Westport, CT, 1988. Page, A. W., The Bell Telephone System, Harper & Brothers, New York, 1941. Paine, A. B., Theodore N. Vail, A Biography, Harper & Brothers, New York, 1931. Pier, A. S., Forbes- Telephone Pioneer, Dodd, Mead, New York, 1953. Schlesinger, L. A. et al.. Chronicles of Corporate Change. Management Lessons from AT&T and Its Offspring, Lexington Books, Lexington, MA, 1987. Smith, G. D., The Anatomy of a Business Decision: Bell, Western Electric and the Origins of Vertical Integration, Johns Hopkins University Press, Baltimore, 1985. Stehman, J. W., The Financial History of the American Telephone & Telegraph Company, Houghton, Boston, 1925. Sterling, C. H. et al., eds., Decision to Divest. Major Documents in US. v. AT&T, Communications Press, Washington, DC, 1986. Stone, A., Wrong Number.- The Breakup of AT&T, Basic Books, New York, 1989. Temin, P., with Galambos, L., The Fall of the Bell System, Cambridge University Press, New York, 1987. Todd. K. P., Jr. (compiler), A Capsule History of the Bell System, AT&T, New York, 1979. Tunstall, W. B., Disconnecting Parties. Managing the Bell System Bmak-up -An Inside View, McGraw-Hill, New York, 1985.
von Auw, A., Heritage and Destiny: Reflections on the Bell System in Transition, Praeger Publishers, New York, 1983. Watson, T., Exploring Life, D. Appleton, New York, 1926. Weinhaus, C. L., and Oettinger, A. G., Behind the Telephone Debates, Ablex, Norwood, NJ, 1988. 1. Prospectus, "To the Capitalists of the Electric Telephone Co.," March 25, 1878, Kensington, London, England, AT&T Archives, Warren, NJ. 2. Todd. K. P., Jr. (compiler), A Capsule History of the Bell System, AT&T, New York, 1979. 3. Annual Report, American Bell Telephone Company, Boston, 1892. 4. Gamet, R. W., The Telephone Enterprise.- The Evolution of the Bell System's Horizontal Structure, Johns Hopkins University Press, Baltimore, 1985. 6. Letter, Theodore N. Vail to Edward J. Hall, February 16, 1885, AT&T Archives, BOX 1010. 7. Annual Report, American Telephone &Telegraph Company, Boston, 1910. 8. Gifford, W. S., speech presented at the meeting of the National Association of Railroad and Utility Commissioners, Dallas, TX, October 20, 1927. 9. Brooks, J., Telephone. The First Hundred Years, Harper & Row, New York, 1976. 10. AT&T, Events in Telecommunications History, AT&T, New York, 1983. 11. Temin, P., with Galambos, L., The Fall of the Bell System, Cambridge University Press, New York, 1987. 12. Henck, F. W., and Strassburg. B., A Slippery Slope: The Long Road to the Breakup of AT&T, Greenwood, Westport, CT, 1988. 13. deButts, J. D.. An Unusual Obligation, speech presented at the meeting of the National Association of Regulatory Utility Commissioners, Seattle, WA, September 20, 1973. 14. Brown, C. L., Comment, AT&T and the Consent Decree, Telecommunications Policy, London, June 1983. 15. Boettinger, H. M., The Telephone Book: Bell, Watson, Vail and American Life, 1876-1983, Stearn Publishers, New York, 1984.